Not only did we add the chained sliders to isee NetSim, we improved the behavior and also added some functionality you can use in iThink and STELLA 9.1.2 and isee NetSim. We have dedicated a separate post to the details and published a NetSim so you can try it out online. 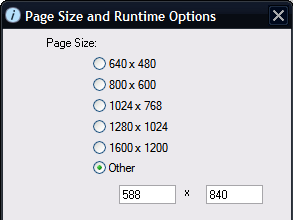 In addition to the fixed screen resolution page sizes, you can now specify a custom page size by choosing the “Other” option. The fixed options (640×480, 800×600, etc. ), represent the target screen resolutions of the computer screens that will be displaying the model. This is a great option for sizing pages of models distributed with the isee Runtime. Runtime models are run from a CD-ROM or installed on the users hard drive and these options are great because you know the model will work for the screen size you choose. Publishing to the web is a different story. The model runs in a web browser. Different browsers have different amounts of available display space. Users may have add-on toolbars that take up more of that space. They may be running at different screen resolutions too. With the new custom size option you can configure a page size that works best for your model when running on the web with isee NetSim. We have found that making the pages wider and making use of horizontal space is a good strategy for publishing to the web. Did you notice the little printer icon on the graph? (Well, you can’t see one here — but open up a sample NetSim and you will) Click on the printer icon in a graph in any NetSim and you’ll get a nice print-out. You can try it out with one of the NetSim sample models. If the isee NetSim Server is running on a secure web server, (such as an intranet or extranet that requires authentication), the isee NetSim Publishing Wizard will now prompt for the credentials. It’ll remember the username and password if you check off the option. Currently it supports HTTP Basic Authentication. 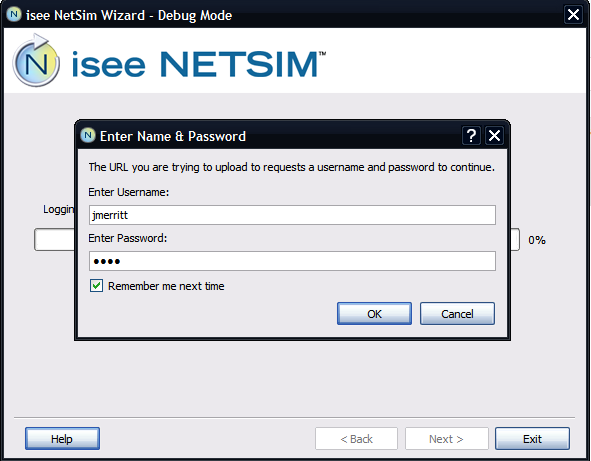 This means you can now allow users to publish (1), to an isee NetSim Server that has HTTP Authentication turned on (2). Web Users (3) will be prompted by their browser for username and password when they run the NetSim online. 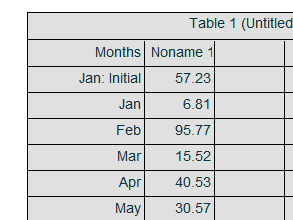 This one is pretty self-explanatory, but worth mentioning because a lot of customers wanted this functionality added to tables in isee NetSim. Financial reports look really clean with this option enabled.